Does the thought of swimming outdoors make you start hearing the soundtrack from the movie “Jaws”? If so, you are not alone. The good news is that countless swimmers have conquered their fears. They have discovered the uniquely rewarding activity of swimming in the natural world. First things first: You will never see a pointy fin swimming toward you in Northwest lakes and coastal waters. 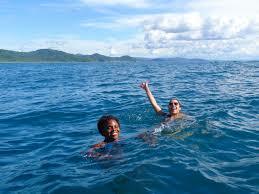 We are blessed with some of the finest, clearest, most swimmable bodies of water in the world. Follow the tips below to increase your confidence and competence in the open water. 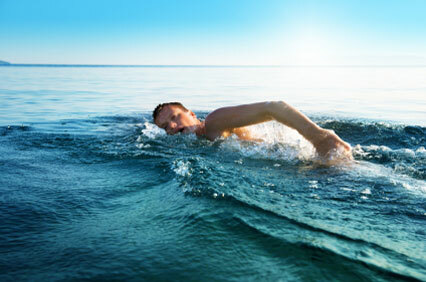 Even if you can swim long distances in the pool, swimming outdoors is entirely different. There is no line on the bottom to guide you and no walls to hem you in. Experienced open water swimmers love this freedom, and you will learn to cherish it, too. However, do take things slowly. The key to comfort in the open water is smart acclimatization. Water temperature above 67 degrees Fahrenheit will feel most comfortable, so don’t be shy about taking a thermometer (one from a hot tub works well) down to water’s edge. To acclimate properly, make your first swims very short—maybe only three to five minutes. 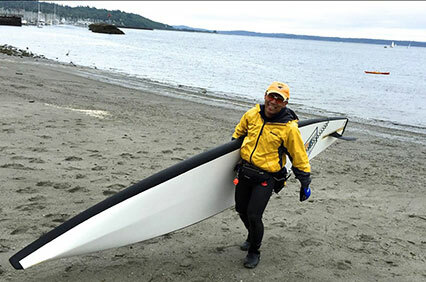 Most people acclimate fairly rapidly, and can soon extend their time in the water. Bring plenty of warm clothes to change into, even if the sun is high. By taking steps to keep comfortable, you will relish returning to the open water—filled with confidence instead of trepidation. New open water swimmers can be narcissistic. That is, they think the whole world is looking at them! 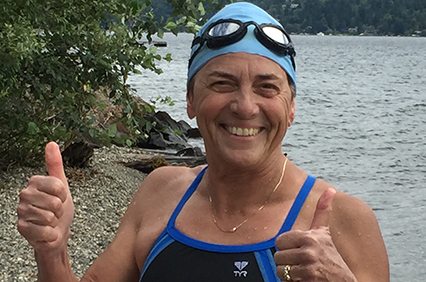 Take it from the most experienced swimmers in the world: Jet skis, power boats, and most anything else in the water (including other swimmers) cannot see you at all, no matter how bright your swim cap. The importance of being seen in the water cannot be overstressed. 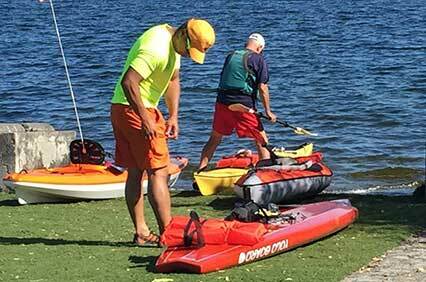 Always swim close to shore, and wear a Swim Safety Device (often called The ISHOF SaferSwimmer Float) to increase your visibility. 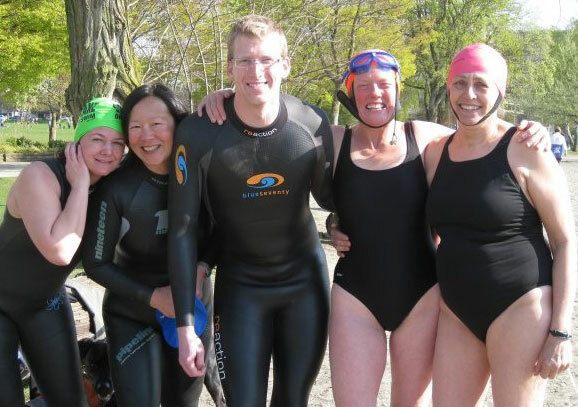 Swimming with friends helps make you more visible, and increases the fun you have as well. Stay calm and swim on! 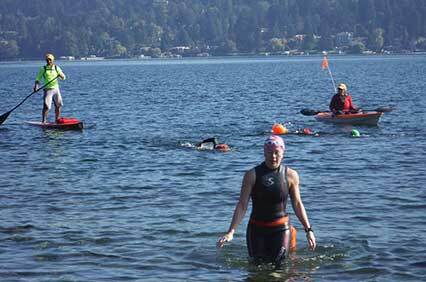 Even experienced open water swimmers may hyperventilate a little upon entering the water. This phenomenon (called the Mammalian Dive Reflex) is totally normal. Be patient, remain calm, and your breathing will return to normal within minutes. The trick to overriding anxiety is to enter the water slowly. Don’t start swimming until you have fully immersed your face and head several times. You’ll be surprised how quickly you begin to start to feel like a sea mammal, totally comfortable in your environment. These tips will help you become an accomplished and confident open water swimmer. All you need to do is follow the tips above and take the plunge. 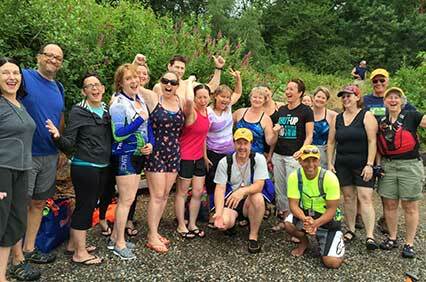 Like many other happy summer swimmers in the Northwest, you may well discover a new life passion. Guila Muir is the founder of Say Yes to Life! 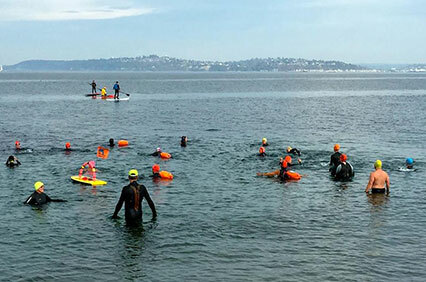 Swims, a Northwest company providing escorted open water swim adventures and outdoor swim lessons. Contact her at www.sayyestolifeswims.com.